A total solar eclipse is a beautiful and inspirational sight. I was happy to bring my wife Abby and meet up with my sister Nicole and her husband Tracey to see and photograph it. Abby uses her eclipse glasses to peek at the last crescent of the sun as the totality approaches. Behind her is my camera with my 400mm + TC-14 teleconverter. 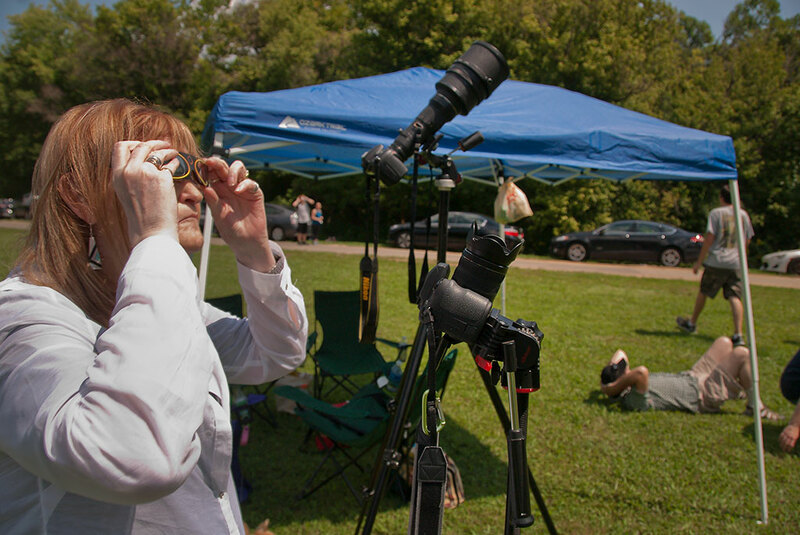 Readers of our travel blog saw that our trip to my mother’s hometown in Missouri to witness and photograph the total eclipse of the sun of August 21, 2017 was a complete success. Photographically, the challenge for me was exposure. I’d never even seen a total eclipse before, and could only guess. 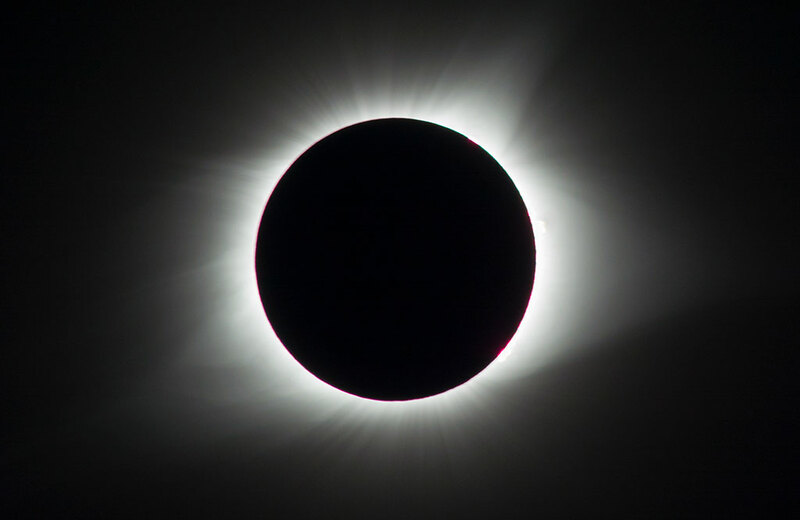 The solar corona, an aura of energetic plasma that represents the most visible and photographable attraction of an eclipse, is as much as a million times dimmer than the photosphere of the sun. The internet was little help for numbers on this exposure, which surprised and annoyed me. For this eclipse, the best exposure was f/8, 1/80th of a second at ISO 640. 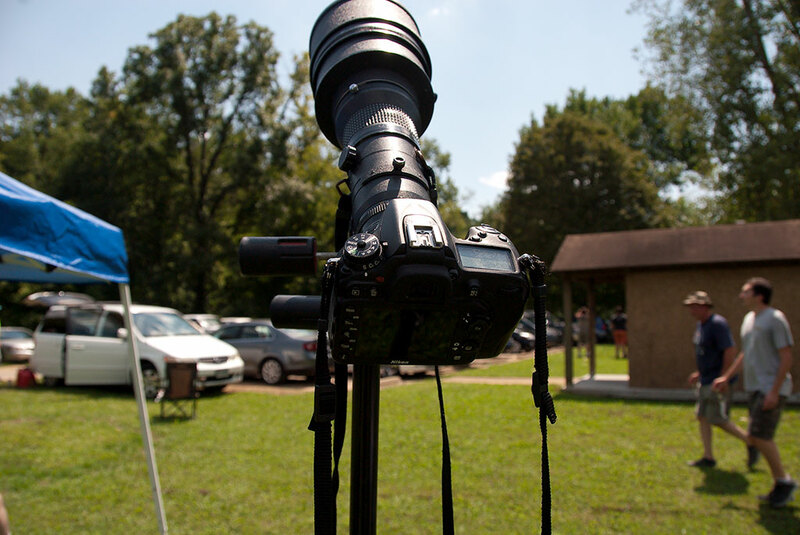 My 400mm with its excellent TC-14 teleconverter stands ready to photograph the solar eclipse, just seconds before the totality. This is the aperture ring on my 400mm. With the teleconverter on, the aperture values are actually (not “effectively”) one f/stop smaller, so when it’s set at f/5.6, it’s actually f/8. 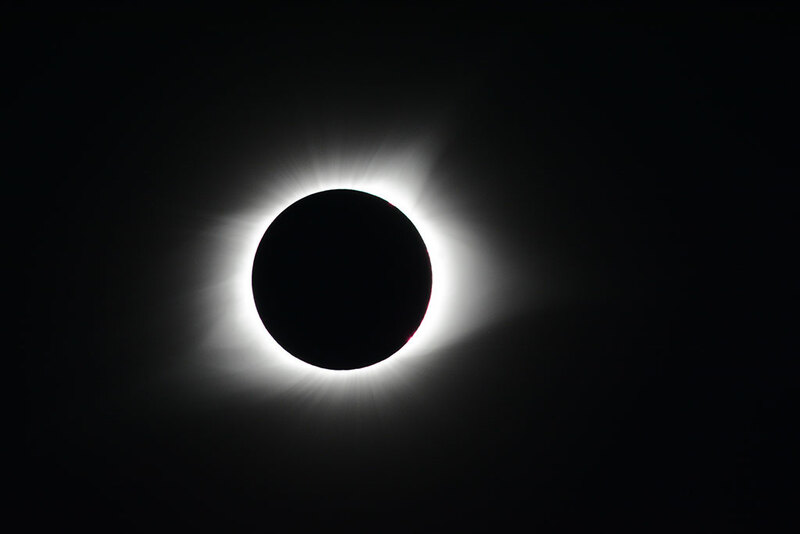 My first frames were pretty dark, followed by two adjustments which resulted in the “correct” exposure to show off the beauty and elegance of the solar corona. I got my 400mm in 1997 from the long-defunct Photo-Fax.com, a service that catered to us, we who wanted to pay discount prices for top-dollar gear. It’s the longest lens I own. This is the totality right out of the camera, uncropped. At 560mm on a 24x15mm (APS-C) sensor, it filled up the frame adequately. If you were building an eclipse camera on a budget from scratch, I might consider one of the new Sigma or Tamron 150-600mm lenses. Both companies make 1.4x teleconverters, which makes the 600mm into 840mm, but also robs the lens of a full f/stop of light. 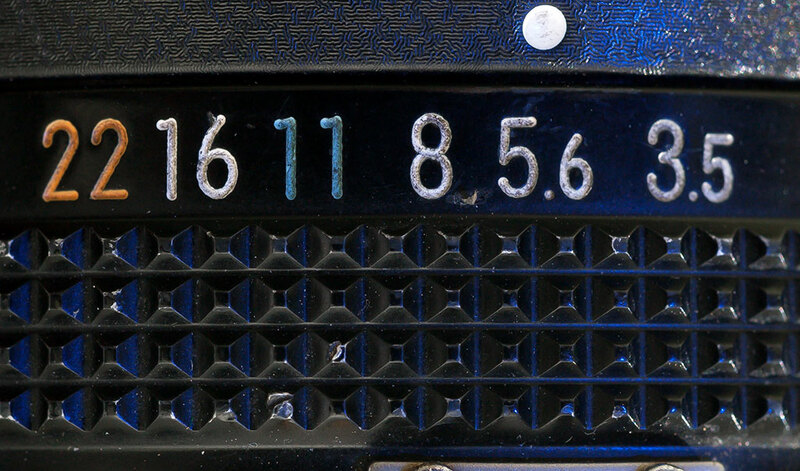 (Do the math: f/number = focal length ÷ aperture diameter.) Shooting at f/8.8 results in shutter speeds duing totality of 1/10 at medium ISOs. It’s also worth considering that most telephoto lenses aren’t incredibly sharp at full aperture, and the situation gets complicated. A co-worker of mine has Nikon’s newest 200-500mm f/5.6 lens, which could fill up the frame with an eclipse pretty effectively at 500mm. It probably goes without saying that a sturdy tripod is a must. 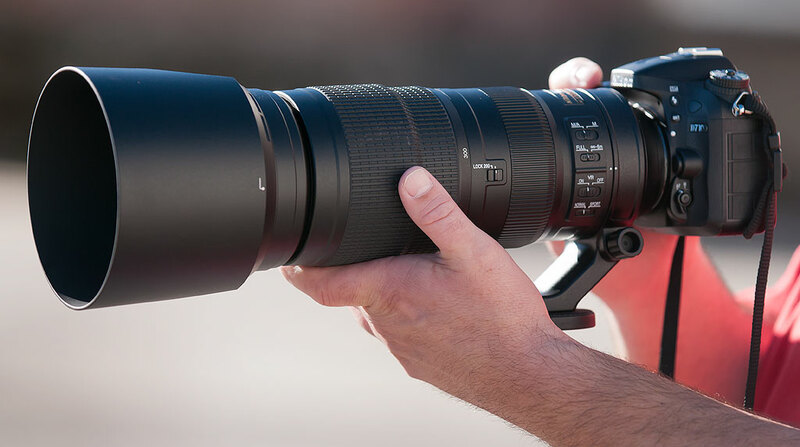 Alternatively, you could opt for renting a super telephoto. You can get a Nikkor 800mm f/5.6 AF-S for a weekend for $400 or so. Don’t bother with the super-cheap 500mm catadioptric (mirror) lenses. They really are junk. Finally, there are many fine astronomical telescopes with camera adaptors that will do the trick, but their prices are also astronomical. In less than seven years, another total eclipse will cross the United States, and the path of totality will be even closer to home than this one. On April 8, 2024, Abby and I hope to be in the vicinity of Idabel, Oklahoma, just 148 miles from our home. With the experience I gained from this time, I will plan to expand my goals to include more cameras, more lenses, and more photographic schemes, and hopefully take the next eclipse to the next level. 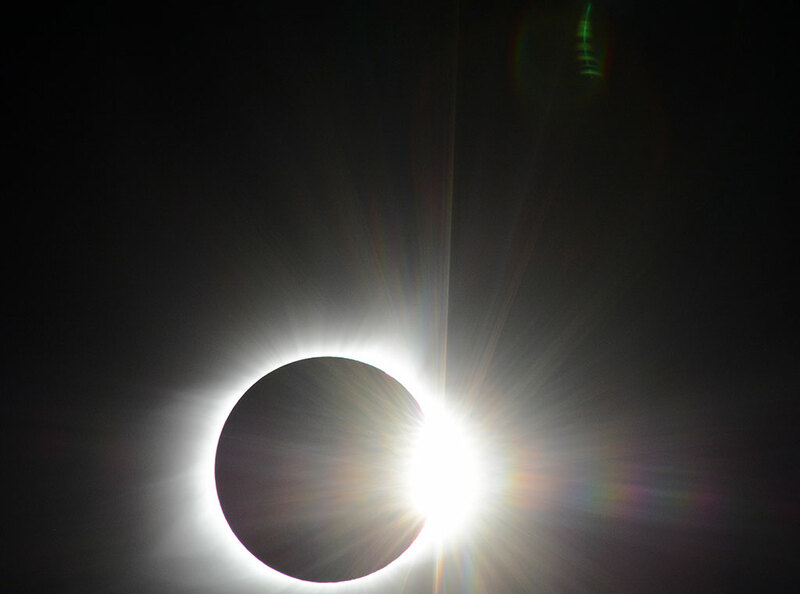 The “diamond ring” effect happens in the brief moments when the sun begins to emerge from behind the moon. As you can see in this frame, the brightness of the photosphere is starting to overwhelm the lens and the sensor.